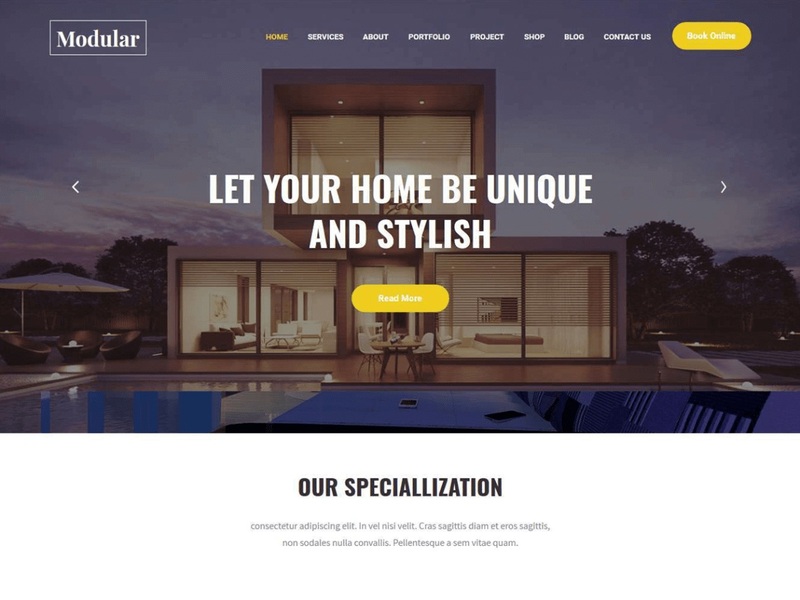 Modular Lite is highly customizable interior WordPress theme specially made for Interior Design services, Dining Room, Exterior Design, Kitchen Design, Living Room Design, Master Bedroom Design, Residential Design, Furniture Design, Office Design, Commercial Design, Hospital Design, Cottage, Architecture, contractor, construction, building, Construction & Business etc. We have analyzed and did some research to know what exactly interior website needs. This theme comes with the easy to use theme options where you can display default and set up a website in just one click. It’s a fully functional responsive WordPress theme can perform in any resolutions. This theme has an eye catchy design can attract your customer to make a good business. This theme also compatible with some popular plugin like WooCommerce and contact form 7.